Throughout my education, both during my childhood as a formal student and now as a grown person striving to be a life-long learner, I have always liked to sit by the window. Partly, this is due to my love of natural light and at least the possibility of access to fresh air. However, more so, this is because of my desire to find connection in learning – seeing the real world outside helps me to visualize relevance. When I was in high school, I would sit and think critically about the lesson at hand. Unfortunately, I was often discouraged by what was coming at me because it was almost always literally coming at me – lecture style. I longed to get my hands onto the subject matter, and for this reason, I loved the more participatory learning experiences: experiments in science class, food demonstrations in French class, acting in and working on construction crew for plays after school. During some particularly lackluster lectures, I told myself that someday I would do it differently. When I founded Free Spirit Media in 2000, I wanted to shake up learning environments – to offer media production as a means to learn about anything. Prior to Free Spirit Media, I had been working in film and television production, and I loved the teamwork and problem solving. In documentary filmmaking, I loved delving deep into subject matter (at least deep enough to tell a story to an audience). In the early days of Free Spirit Media, we thought that anything was possible. That was before some of the challenges of working within schools became apparent to us, but even when we faced those, we tried to keep the faith that learning was deeper when it was hands on, project based, and relevant in the real world. In 2009-10, when I entered some of the early discussions about the Chicago Learning Network (which would become Hive Chicago), the language was music to my ears. Connie Yowell and Nichole Pinkard were talking about building connections across learning environments – the formal and informal, physical and virtual. The nascent network was made up of innovative thinkers and educators, and they didn’t just want to talk – they wanted to put the ideas into practice. I loved the potential, and I wanted to get involved and help to advance the vision. 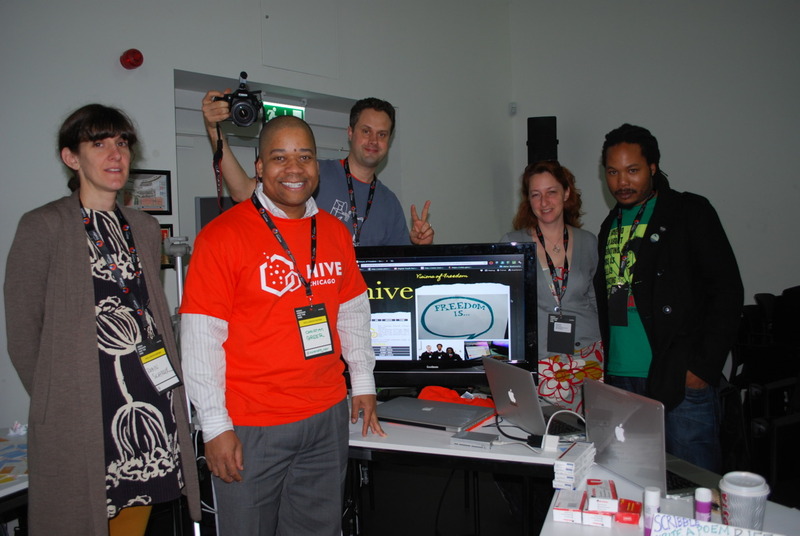 The early days of Hive Chicago, from left to right, Robin Schnur (Art Institute Chicago), Christian Greer (Hive Staff), Jeff McCarter (Free Spirit Media), Ruth Schmidt and Brother Mike Hawkins (Digital Youth Network). Because the aim was to develop a network, and networks thrive on participation, I jumped in and became an active member of multiple working groups – including program, technology, and governance. The governance group grew to become the Member Advisory Committee, at which I advocated for expanded membership to further the ideals of equitable access and diverse learning pathways. With this in mind, it has been a delight to see the network expand and evolve in the past year. Honestly, looking back on the past four years, I am astounded by what has been accomplished and by what Free Spirit Media and I have been able to experience thanks to the Hive. I have participated in multiple DML (Digital Media & Learning) Conferences, and traveled to Barcelona for Mozilla’s Drumbeat and London when it became the Mozilla Fesitval. Free Spirit Media has partnered and/or is partnering with Hive members that include: the Adler Planetarium, After School Matters, the Chicago Architecture Foundation, the Chicago Youth Voices Network, Chicago Quest, Ci3, Civic Art Works, Common Sense Media, Digital Youth Network, the Field Museum, Lincoln Park Zoo, Mikva Challenge, National Veterans Art Museum, Now is the Time, Project Exploration, Shedd Aquarium, Smart Chicago Collaborative, True Star Media, Yollocalli Arts Reach, and YOUmedia (and even more if you count friendships). Wow, that’s collaboration from A to Y, now I just need a Z. Veterans History Project: Behind the Scenes from Free Spirit Media on Vimeo. All of these relationships and opportunities have been stimulating to me personally and to Free Spirit Media’s team of professional mentors, but the even bigger winners in this effort have been the young people that we engage. Thanks to our participation in Hive, hundreds of young people in our programs have been stimulated by new ideas and opportunities for learning, have built peer-to-peer relationships with youth from diverse backgrounds, and have been empowered to explore their own learning pathways. Hive also sparked Free Spirit Media’s youth council, which has helped with our organizational strategic planning and to inform our curriculum innovation, social media, and values. 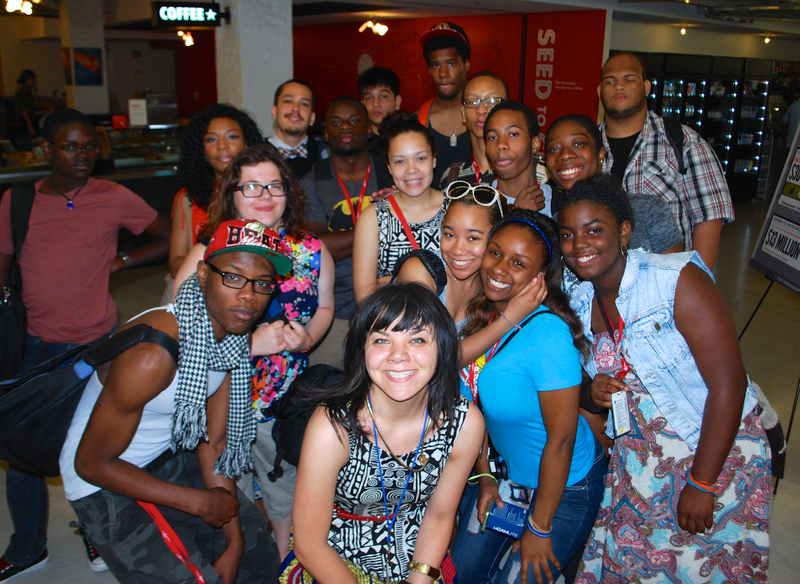 The relevant, real-world benefits for young people that come from our collaborative relationships are evident in projects we support like Real Chi Youth. FSM News On the Road series entries at Yollocalli Arts Reach (left) and Lookingglass Lab / Now Is The Time (right) from Free Spirit Media on YouTube. 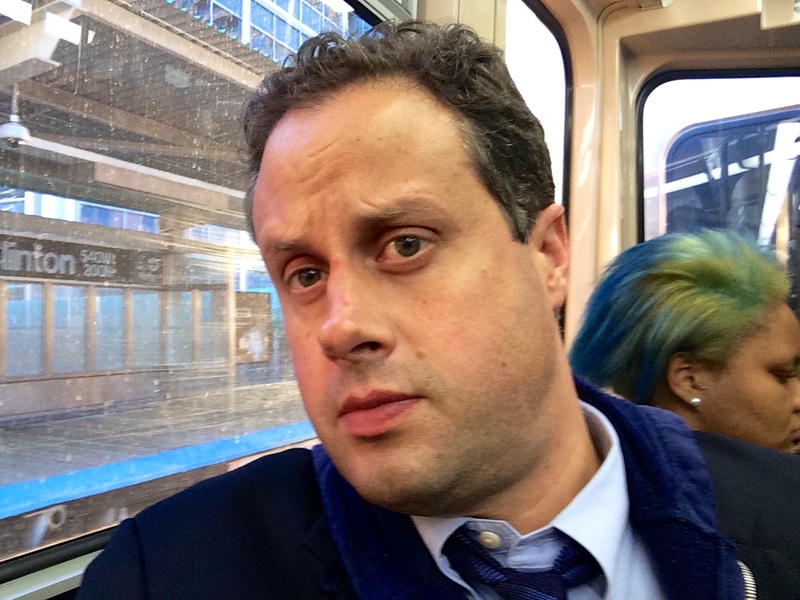 Recently, the Chicago Youth Voices Network was awarded a Hive Chicago grant to advance its Nuf Said media sharing and youth social networking platform. This grant speaks to Hive’s continued commitment and progress in access, pathways, and innovation. Only a few CYVN members were involved in Hive when it started, and now, youth leaders from these organizations have the opportunity to offer a framework for sharing and connecting to youth from throughout the Hive, as well as the city and world beyond. If the city and the world are a playground for learning, Hive is the juice that gets us buzzing. It has been a thrill and a joy to see Hive’s emergence as a learning community and a champion of Connected Learning. I encourage the curious and the hopeful among you to engage – to explore, create, and share – to come on in and sit up front (near a window).